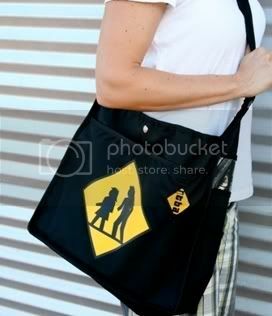 "Be careful, mullets cross the street. Let's joint the party." 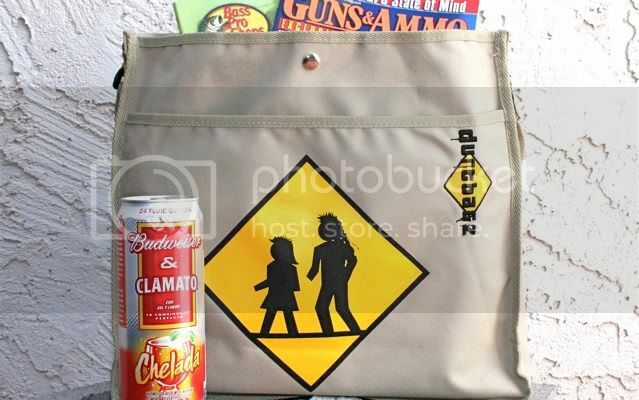 Mullet crossing funny street sign bags created by http://durtbagz.com, a funny bag and T-shirt company.